Dr.Ir. 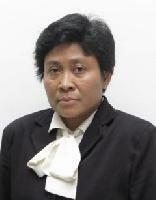 Ria Asih Aryani Soemitro M.Eng. Dr. Ir. 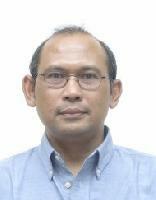 Hitapriya Suprajitno M.Eng,	Dr.Ir. Ria Asih Aryani Soemitro M.Eng. The paper disccuses an analysis study on the service quality of Rusunawa Gunungsari in terms of occupants satisfacion, condition of current management body of rusunawa, and management recommendation to improve the service quality of Rusunawa Gunungsari. The analysis is performed by using Importance Performance Analysis (IPA) for occupants satisfaction and 7s Mc Kinsey model as a framework to identify the current condition of management body of Rusunawa Gunungsari, then the results of these two analysis are used as inputs for management improvement recommendation. The results shows that the comparison between perception and expectation of occupant (Total Compliance Level) for Rusunawa Gunung Sari is equal to 74.18%, the absence of maintenance regulation or Standard Operating Procedure (SOP), lack of occupant rules enforcement, insufficient rusunawa management budget, and lack of cleaners are management conditions that contribute to management low performance. The recommendation for improving management performance based on two analysis before are the management body should compile and implement the Standard Operating Procedure of rusunawa maintenance, enforce the occupants rules, add numbers of cleaners, and conduct an management evaluation as a maintenance budget reference.